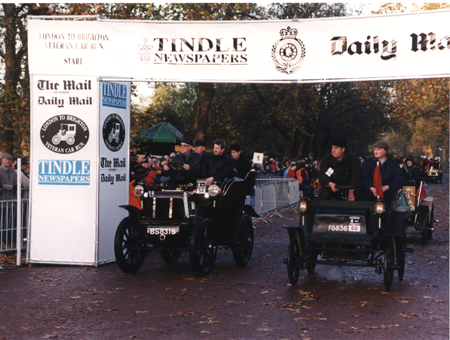 In 2002 the Jaguar Daimler Heritage Trust invited the DLOC to drive one of their veteran cars on the London to Brighton run. A full days instruction preceded the event, the tuition included the starting procedure, which is very different from the motor cars of today. An early start on a cloudy November morning was followed by an interesting stop, start journey through London. Acceleration is very slow, and we found ourselves overtaking and being overtaken by the same cars as the ancient runners stopped at red traffic lights and other obstructions. DLOC vice president Tony Bagley took the wheel for the first part of the journey. Once on the move, the car would build up quite a good speed, only to be checked by a hill or road junction. 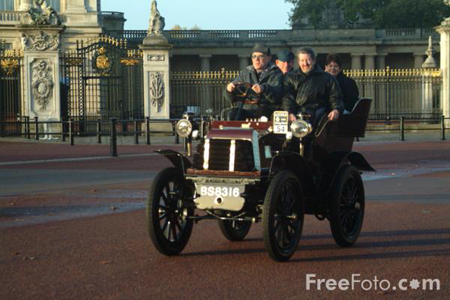 The old Daimler required a lot of concentration and a certain amount of physical activity to keep the car on the move. An excellent day at the worlds best known motoring event, ended on Madiera drive, where I was interviewed by the local media. 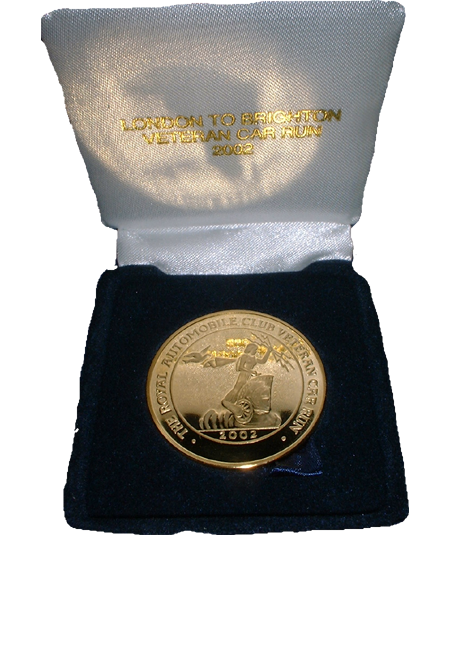 There are no prizes for the Brighton finishers – the medal you see below is the award every driver hopes for. 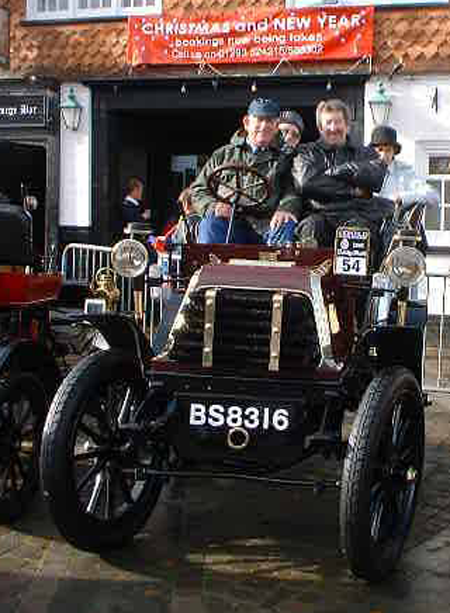 The London to Brighton takes place on the first Sunday of November, if you are a car enthusiast and have not been to this marvelous event, put a note in your diary now. Both Hyde Park for the early start and Madeira Drive for the finish, are a fantastic spectacle. 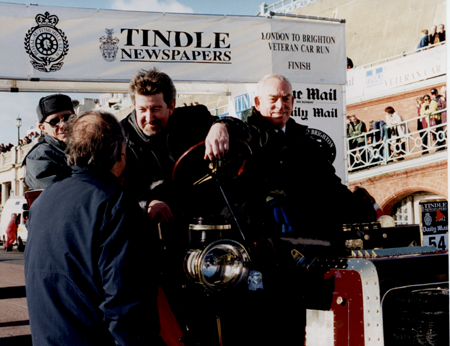 These ancient Daimler motor cars rarely come on the market and when they do command high prices, if you want to enter the best car show in the world, don’t count the pennies, buy the ultimate Daimler, a London to Brighton Veteran.